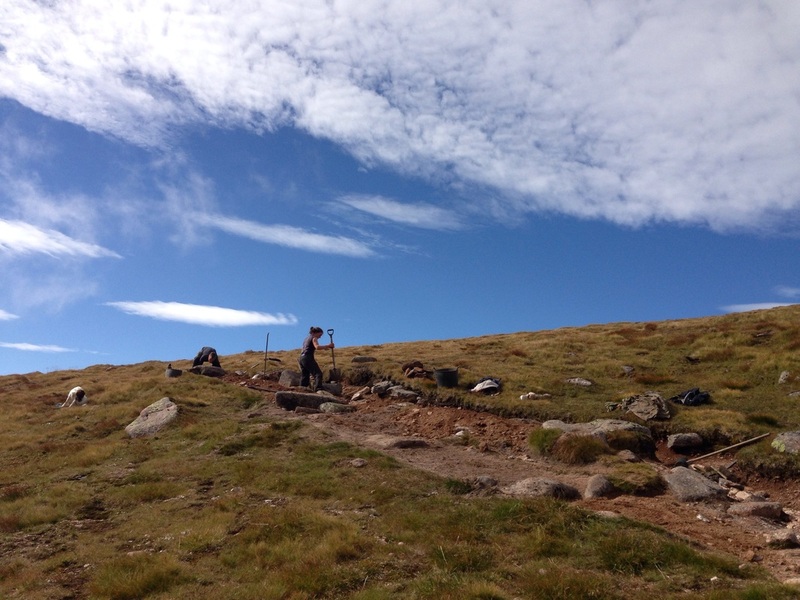 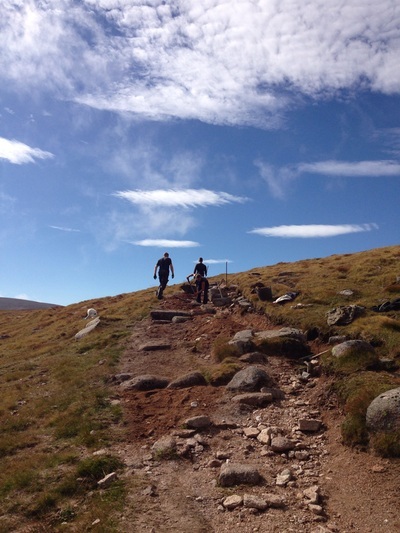 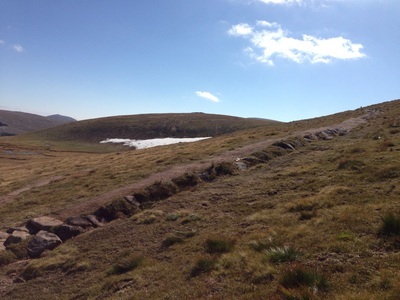 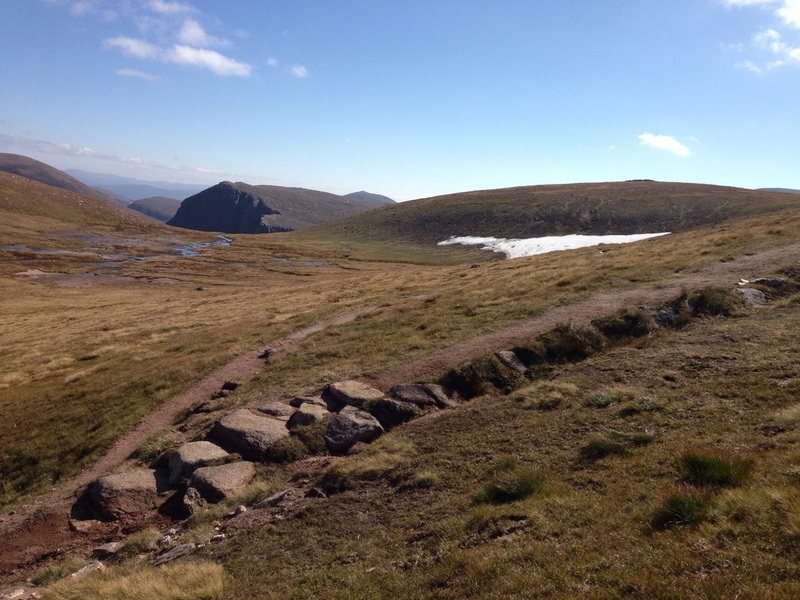 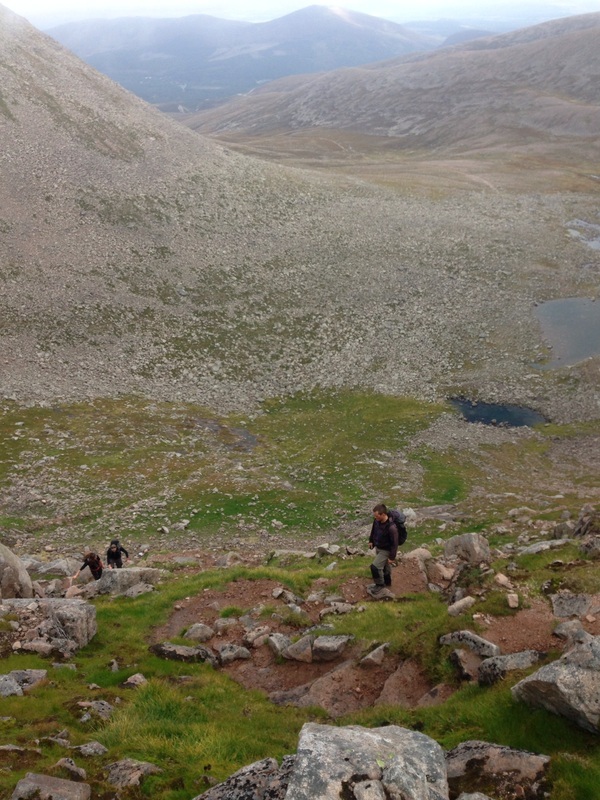 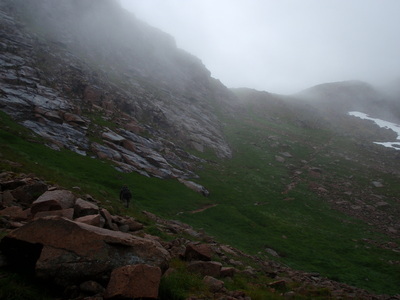 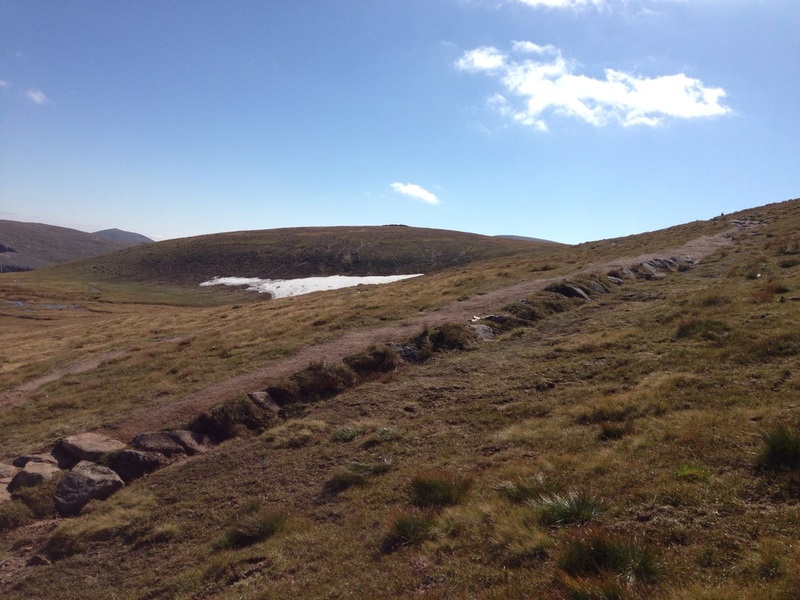 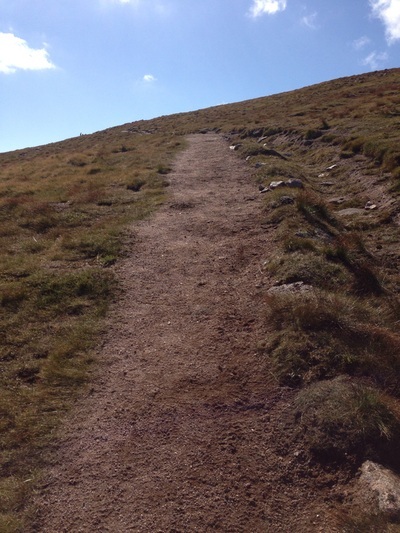 This path runs from the top of Goat track gully, Stob Coire an t-Sneachda, all the way to Ben Macdui. 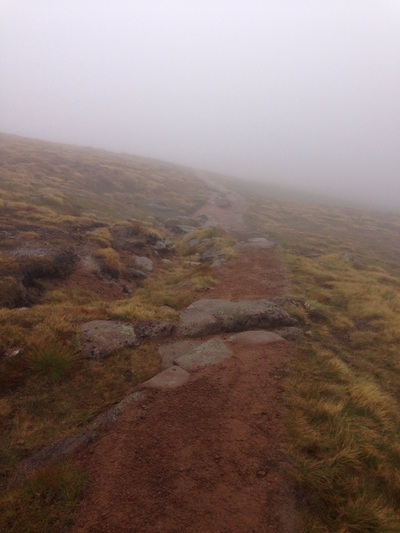 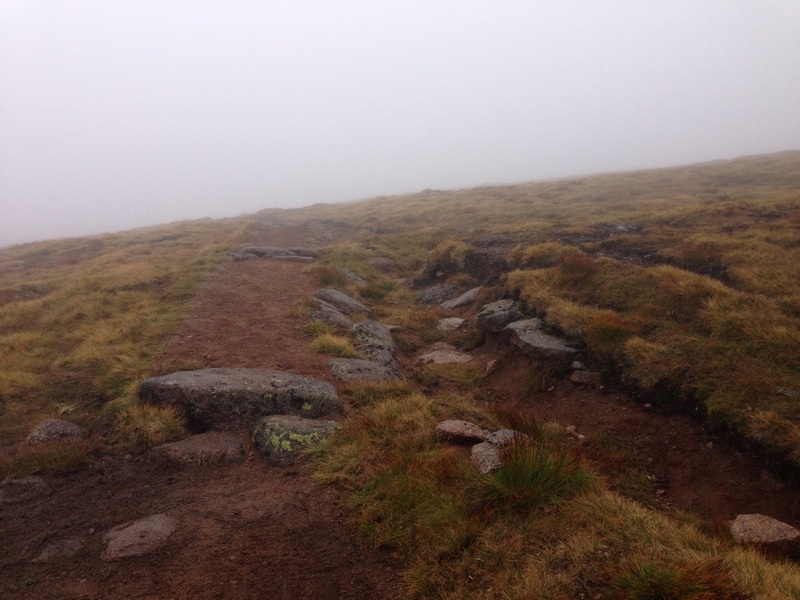 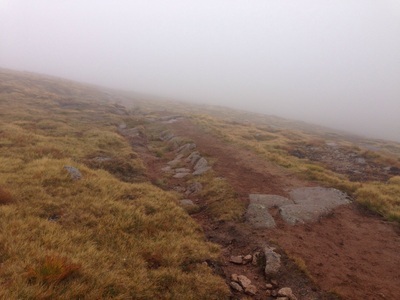 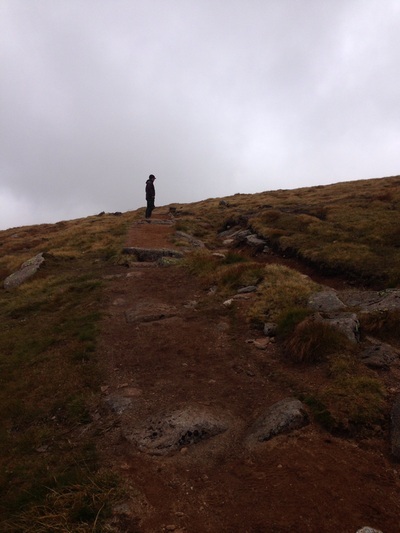 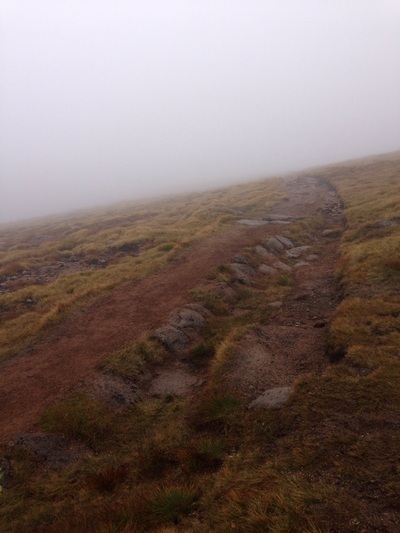 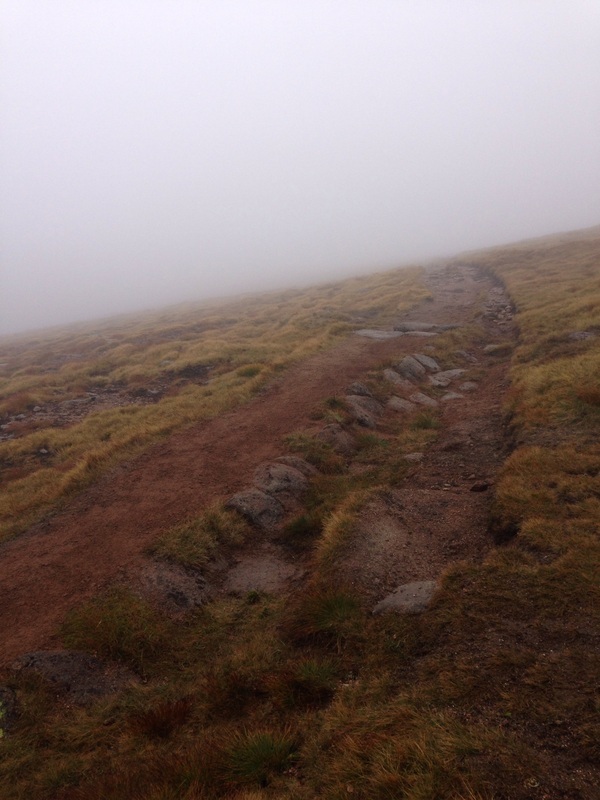 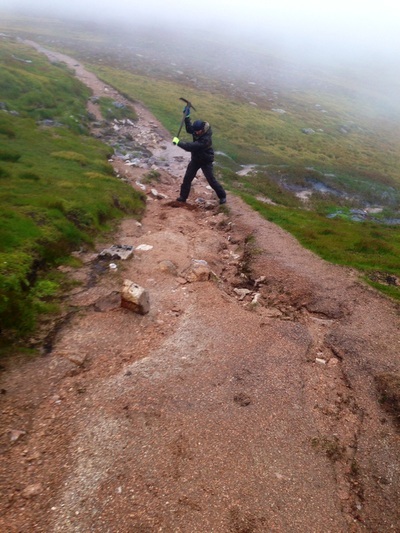 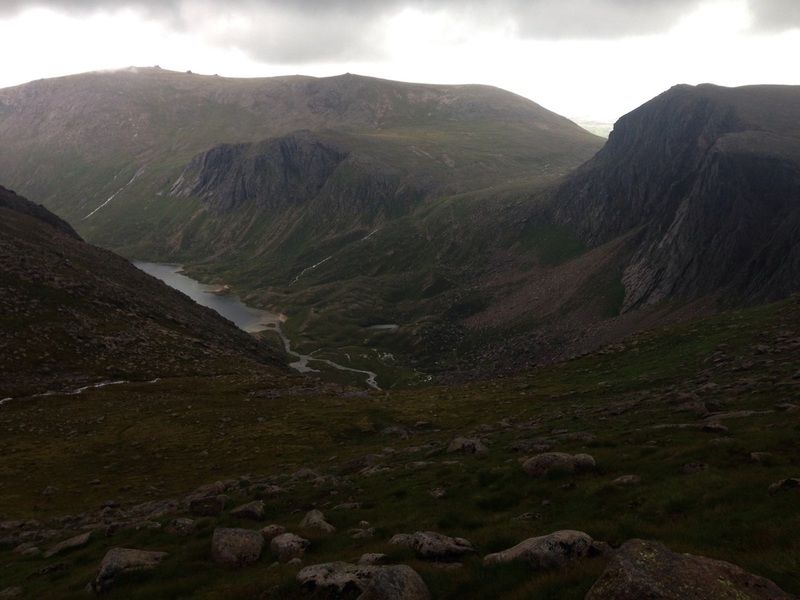 Due to its popularity as the second highest Munro it is heavily used and has become badly damaged and braided. 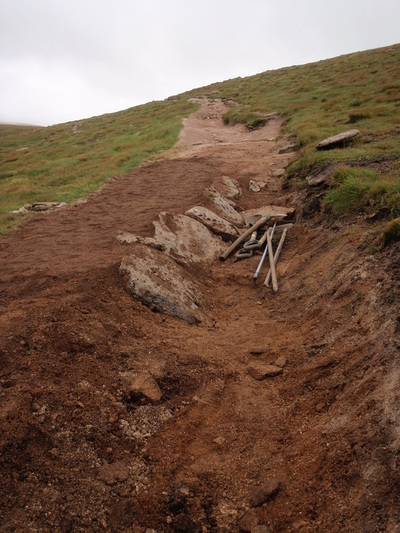 In some areas, mainly after heavy snow melt, the surface water has caused deep ruts to form and the surface aggregate to be washed away. The task therefore was to prevent any further damage, create a new path that can hold up to any future bad weather events. 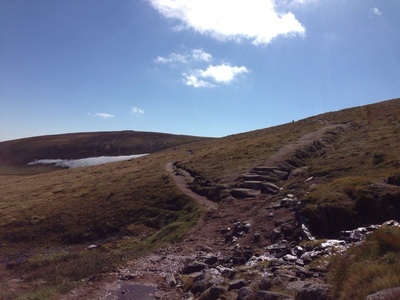 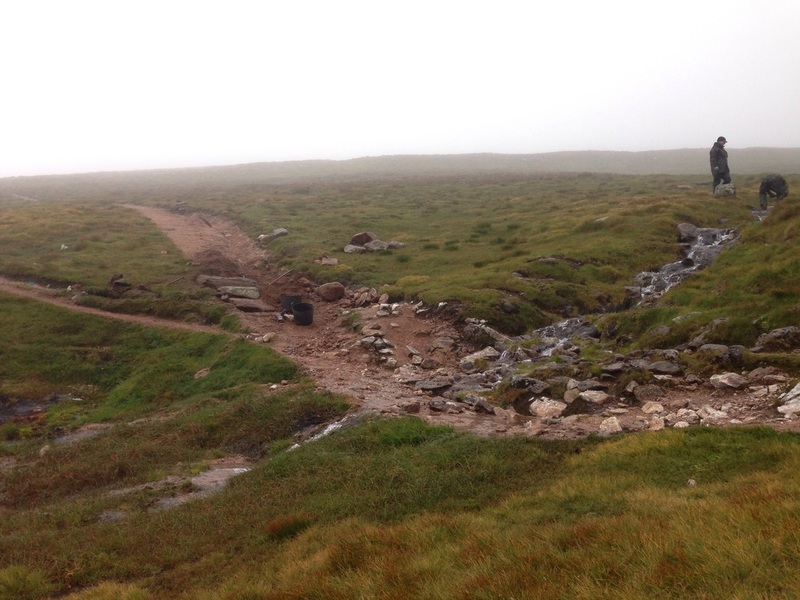 It was decided to use the deep gullies as a side drain, build cross-drains to disperse the water, and to create a wide high and dry path below the side drain with stone features to protect the surfacing and to encourage people to stay on the path. The walk in up Goat track. Corrie an t-Sneachda. Looking down into the Corrie. 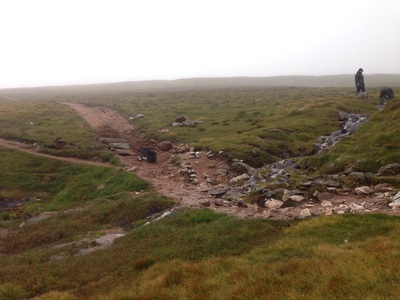 The heavily damaged 1st site. 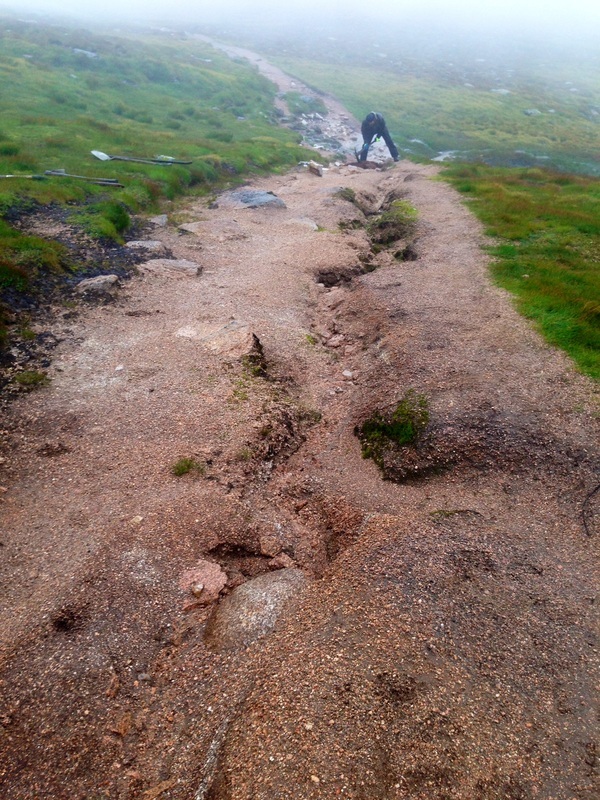 Gullying caused by water running down the path. 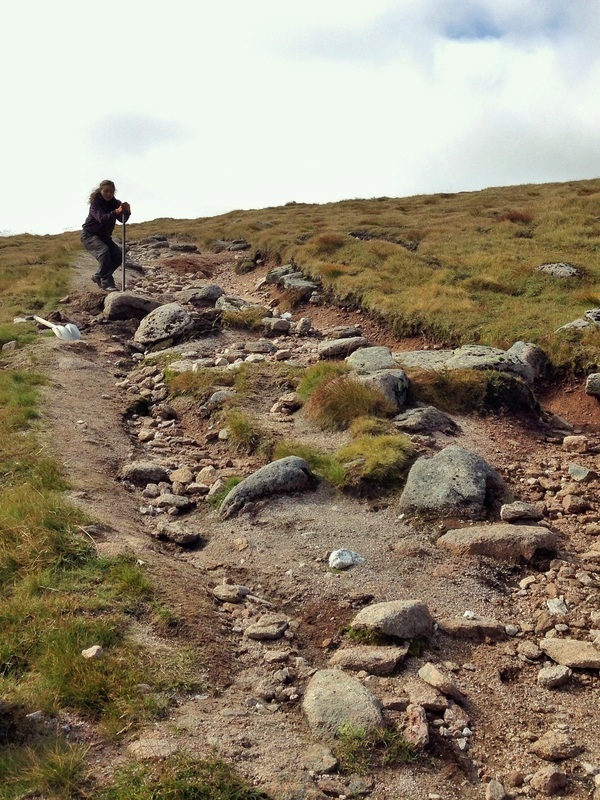 A small section of pitching to reduce the gradient. 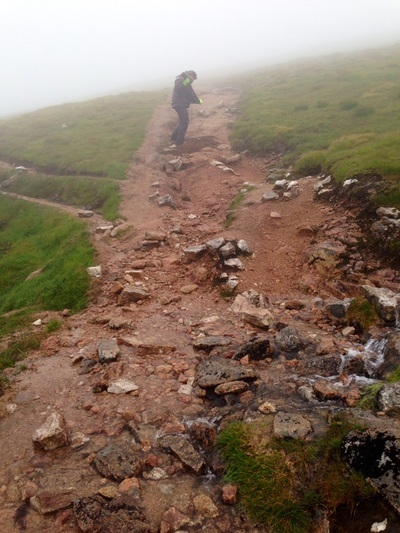 Large side drain created to protect the path. 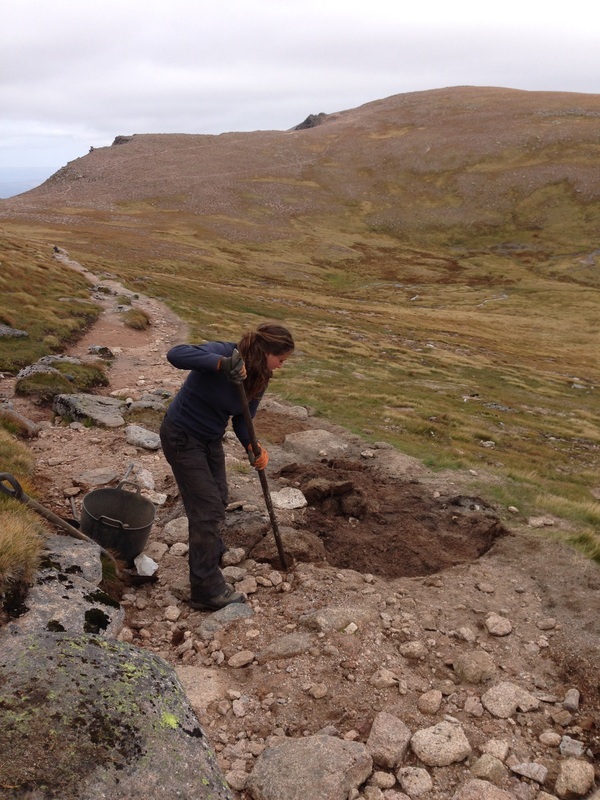 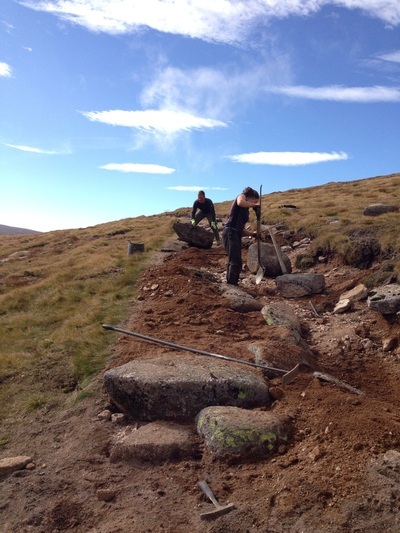 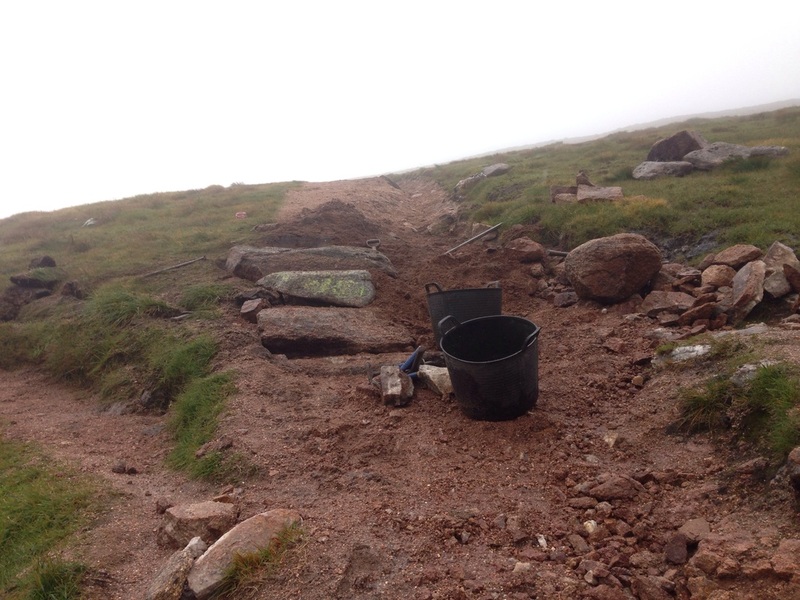 One of COAT's trainees (Carly Raine) on work placement preparing the 2nd section of path. 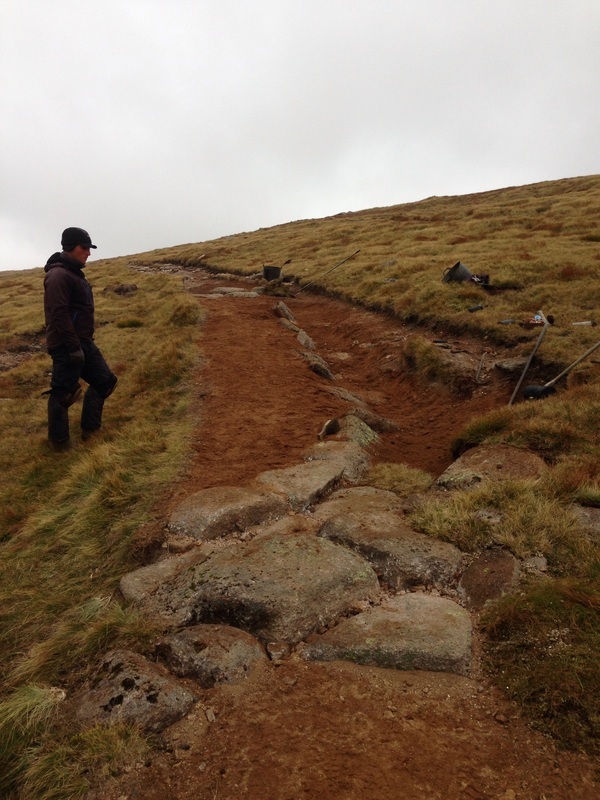 Adding a few step-risers and anchor bars to hold the path surface together. 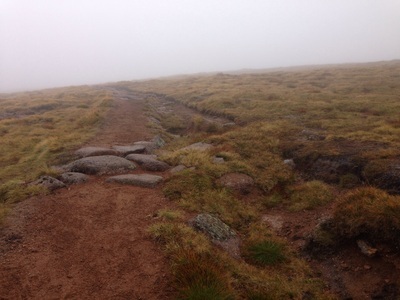 The finished and landscaped path. Side and cross-drains prior to landscaping. 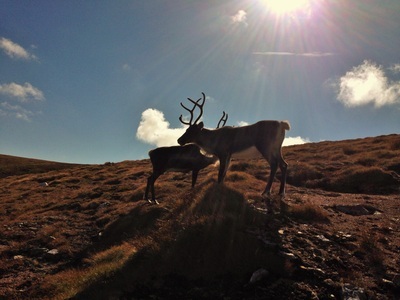 A wee visit from the Cairngorm Reindeer herd.